A slower, more emotional episode of Badlands truly hits home. Warning: This contains spoilers. 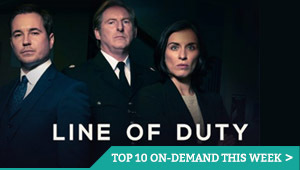 To find out how to watch online, click here. 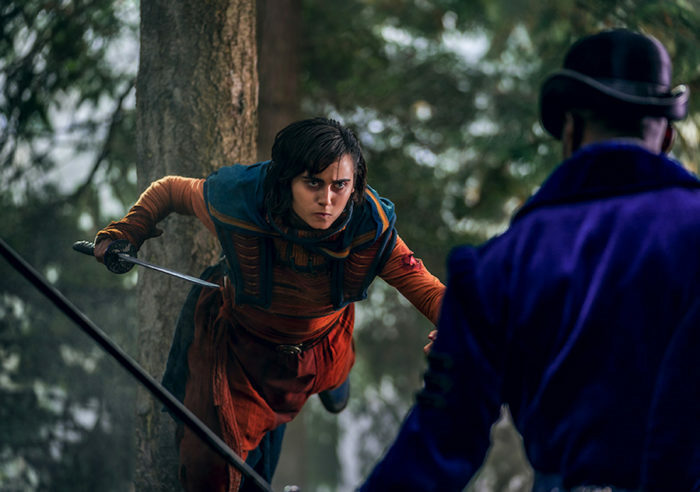 Sunny is back in the spotlight in Episode 3 of Into the Badlands’ third season, which brings the various struggles back down to earth. En route to finding a healer for his son, Sunny encounters a talented sniper, while Bajie helps to heal a wounded Clipper. After the supernatural onslaught and character-driven feuding of the past two episodes, Leopard Snares Rabbit is a razor-sharp reminder that Sunny’s world is lethal, even at ground level. Plagued by a crossbow wielding Clipper in a shady alley, he and Bajie (a refreshingly three-dimensional Nick Frost) are forced to outwit rather than out-fight an enemy. Written by Michael Taylor (Star Trek DS9, Battlestar Galactica) and brought to life by the up-and-coming Toa Fraser (known for Netflix’s pressure-driven hostage drama 6 Days), this episode slows the pace a little in order to let the pain and hurt settle, before the next wave hits. Elsewhere in the Badlands, Sherman Augustus’ vengeful Regent reveals a little of his past in a whispered exchange with Lydia (Orla Brady), before he heads in Sunny’s direction – it’s a small scene, but gives both actors a much-needed depth in a show where their loyalties are all they have. 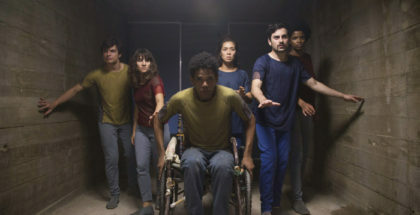 While Sunny and Bajie’s poison-arrow troubles might be the most exciting aspect of the episode, the emotional drama of Tilda’s return to The Widow’s home puts up a powerful fight for the spotlight. Having shared so many scenes, Emily Beecham’s mysterious ex-Baron and Ally Ioannides’ former Regent are reunited in a dramatic storm, perfectly capturing the nurturing hostility they have for one another. Having opened on a massacre and one-sided face-off with her replacement, Tilda’s homecoming hits the heart as much as anywhere else. Leaving sentiment at the door, Leopard Snares Rabbit manages to re-scatter all the pieces on Badlands’ chessboard, while allowing us to feel the weight of doing so. 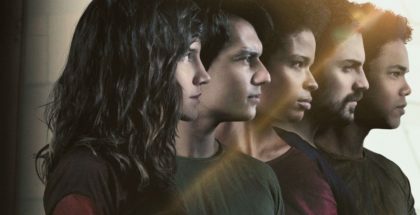 Pressing forward with Sunny’s journey, as well as bringing Tilda back into the melee, Badlands’ wields the power of understatement and development just as effectively as it does the carnage and foreboding that has preceded it, and with Aramis Knight’s M.K. reinvigorated, free, and possibly on the warpath, the edges of seats will surely remain occupied until the next chapter. Into the Badlands Season 1 to 3 are available to watch online exclusively on Amazon Prime Video UK, as part of a £5.99 monthly subscription. New episodes arrive weekly on Tuesdays, following their US brodcast.